The word ‘Carvaka’ is associated with the word ‘materialist’. Thus it is connected with materialism. According to materialism matter is the only reality. According to ‘Carvaka’ matter is the only reality of this world andeverything of this world including mind and consciousness is the product of matter. Accounts of the ‘Carvaka’ system are found inSarvadarsanasamgraha and saddarsana-samuccaya. Brhaspati, is the founder of this system. This system is known as Lokayata Darsana. Again some conclude that Brpaaspati is the teacher of the gods,founded this philosophy with a view to deceiving the giants, the enemies of the god. The Carvaka philosophy is a philosophy of free-thinking. There is no law of Karma, no permanent soul, nor any future life, nor transmigration. Hell, Heaven, merits, demerits everything are meaningless. Out of the aphorisms of Brihaspati came a whole school of Hindu materialist, named, after one of them, Carvakas. They laughed at the notion that the Vedas were divinely revealed truth; truth, they argued, can never be known, except through the senses. Even reason is not to be trusted, for every inference depends for its validity not only upon accurate observation and correct reasoning, but also upon the assumption that the future will behave like the past; and of this, as Hume was to say, there can be no certainty,perception as the only means of valid knowledge, and they reject the validityof inference. They also reject the authority of the Vedas and the supremacy of the Brahmanas. They are known as naturalists and accidentalists and rejectfinal causes and universality of causation. Another early materialist was Ajita Kesakambali (6th century B.C. ), who lived as an ascetic despite denying the afterlife, karma and morality. Ideas like generosity are the concepts of a stupid person. He who speaks of their existence, his words are empty and confused; a cry of desperation. Payasi Suttanta (6th century B.C.). denies dualism, reincarnation, and karma. Payasi says he has known some very evil men and some very good men, and he made them promise to tell him of their experiences if they died and were reincarnated. But many of them have died, and Payasi has not heard from any of them. So he doubts reincarnation. Carvakas hold that some objects are eternal, some are non-eternal, and some are in mixed nature. The special characters of these objects are controlled by their natures which in inherent in them. The Carvaka also denies any causal relation between two events. One event cannot produce another event, to produce means to exert a power. But as no such power is perceived as existing objects, the reality of productive power is inadmissible. It cannot also be established by perception that there is any invariable and unconditional relation between two events. The Carvaka thinks that whatever happens in the world, that is accidentally. There is no existence of conscious purpose behind the world. The two events are found together on numerous occasions, and therefore produce an expectation in the mind that they will always go together. This accidental conjunction of an antecedent and a consequent can not ensure vyapti, which is the ground of inference. Carvaka theology tries to explain the world only by nature. It is sometimes called naturalism and sometimes called mechanism (Svabhavavada and yadrecha vada) because it denies the existence of conscious purpose behind the world and explains it as a mere mechanical combination of elements. The Carvaka theory on the whole may also be called positivism, because it believes only in positive facts or observable phenomena. According to Carvaka, material elements produce the world, and the supposition of a creator is unnecessaiy. The objection may be raised : can the material elements by themselves give rise to this world ? It is seen that at the time of production of an object like an earthen jar requires, in addition to clay which is its material cause, a potter who is the efficient cause, that shapes the material into the desired form. The four elements supply only the material cause of the world. Like the efficient cause of the jar, there should be an efficient cause behind the world who turns the material elements into this wonderful world. In that case, the Carvaka states that the material elements themselves have got each its fixed nature. It is by the natures and laws inherent in them that they combine together to form this world. There is thus no necessity for God. There is no proof that the objects of the world are the products of any design. What is not perceived by the senses, said the Carvakas, does not exist; therefore the soul is a delusion and Atman is humbug. We do not observe, in experience or history, any interposition of supernatural forces in the world. All phenomena are natural; only simpletons trace them to demons or gods. Matter is the one reality; the body is a combination of atoms; the mind is merely matter thinking; the body, not the soul, feels, sees, hears, and thinks. “Who has seen the soul existing in a state separate from the body?” There is no immortality, no rebirth. The Charvaka opine that there is no such rebirth of a so called permanent soul. The body-soul perishes and disappears with death. They argue that if there was such a ‘live’ soul which transmigrates to another body, in that case, the soul of elephant and a horse will be one and the same, but it is not. Moreover, if such a soul existed at all, every child would have remembered the activities of his past life which is never seen. The germs of materialism are found in the hymns of the R.g. Veda. According to Carvaka, there are four gross material elements these are earth, water, air and fire. Carvakas reject ether because ether is not perceptible. Man is composed of these four elements. Radhakrishnan in his book. Indian philosophy vol. – II refers that “Man is composed of four elements. When man dies, the earthly element returns and relapses into the earth; the watery element returns into the water; the fiery element returns into the fire, and airy element returns into the air, the senses pass into space. Wise and fool alike, when the body dissolves, are cut off, perish, do not exist any longer.” Manu also refers two types of materialists i.e. riastikas (nihilists) and Pasandas (heretics). The classic authority on the materialist theory is known as the sutras of Brhaspati. Carvakas accept that body is the combination of material elements. Carvakas believe in the existence of atoms. The sense- organs are produced by the atomic arrangement of the elements. Consciousness is produced by the material elements, (earth, water, air and fire) by a chemical process these elements produces consciousness in the body. Consciousness is found in the body due to the modifications of the gross elements just like, when betel, ariea nut and lime are chewed combindly then the red colour is produced. Carvakas believes that the sense organs and other objects are the mere aggregates of earth, water, fire and air. These are foundby” our perception. According to carvakas there is an invariable relation between two things and they are causally connected with each other, one is the material cause of the other which is known as effect. Lamp and light are always found together. Lamp is the material cause of the light. There is an invariable relation between lamp and light similarly there is an invariable relation between body and consciousness. So body is the material cause of consciousness. Religion is an aberration, a disease, or a chicanery; the hypothesis of a god is useless for explaining or understanding the world. Men think religion necessary only because, being accustomed to it, they feel a sense of loss, and an uncomfortable void, when the growth of knowledge destroys this faith. Morality, too, is natural; it is a social convention and convenience, not a divine command. Nature is indifferent to good and bad, virtue and vice, and lets the sunshine indiscriminately upon knaves and saints; if nature has any ethical quality at all it is that of transcendent immorality. There is no need to control instinct and passion, for these is the instructions of nature to men. Virtue is a mistake; the purpose of life is living, and the only wisdom is happiness. In their ethics, the Carvakas upheld a kind of hedonism: the only goal people ought to pursue is maximizing sensual pleasure in life while avoiding pain—the kind that proceeds from over-indulgence and instant gratification. As is common with confrontational schools of thought, they were accused of “immoral practices” and depicted as “hedonists advocating a policy of total opportunism; they are often described as addressing princes, whom they urged to act exclusively in their own self-interest, thus providing the intellectual climate in which a text such as Kautilya’s Arthashastra a text that elevated the material wellbeing of both the nation and its people and favored an autocratic state to realize it. In accordance with the dictates of policy and enjoyment, the mass of men consider wealth and satisfaction of desire the only ends of man. They deny the existence of any object belonging to a future world, and follow only the doctrine of Carvakas. Hence another name for that school is Lokayata—a name well accordant with the thing signified [that only the material world, loka, exists]. One scholar writes about the Carvakas belief system as, “Of the four ‘purusdrthas’, the Carvakas reject ‘dharma’ (virtue) and ‘moksa’ (spiritual freedom). They regard only wealth (artha) and pleasure (kdma) as the rational ends of man. Of these too, wealth is not the ultimate end; it is good only as a means to pleasure. Pleasure, then, is the ‘summum bonum’. The wise man should squeeze the maximum pleasure out of life. He should not let go a present pleasure in the hope of a future gain. These are the maxims which the Carvakas give: “Rather a pigeon to-day than a peacock tomorrow”;” A sure piece of shell is better than a doubtful coin of gold.” These are in the spirit of the saying – a bird in the hand is worth two in the bush”. The Carvakas have emphasized that pleasure and pain are the central themes of life and it is not possible to separate life from all these. They have also claimed that virtue is nothing more than a delusion and enjoyment is the only reality. The Carvakas School of Thought believed that life is the end of life. Unlike the Upanishads the Carvakas or the materialist philosophy asserts the doctrines of uncontrolled-energy, self-assertion and reckless disregard for authority. Carvakas believe not in the notion of stringent philosophy, but in liberal beliefs. Hence, they refute most of the already-established rules in the context of Indian philosophy. The prime importance is laid on the likes and dislikes of humans. As a result, Carvakas believe in the perceived knowledge of the present life, and not in rebirth and past life. According to them good deed is not much necessary to perform in one’s lifetime, as is instructed by the crafty priests. The basic thought of the Carvakas is to obtain worldly pleasure by making merry, as there is no hell where one can be hurled. What is meant by heaven is the pleasure we have in eating, drinking, singing and in the company and embrace of women. And hell is the pain we experience in this world itself. There is no point in trying to obtain salvation and a life of eternal quietude; there is an end to life at death and all will be quietude then. The differences between castes and their distinctive duties are falsely laid down by interested persons. There are no objective ethical laws, so one can do what one likes, provided he is careful that his actions do not bring pain as a consequence. The Carvakas do not seem to have advocated pleasures of the moment, because pleasures of the moment and over-indulgence may result in pain and pain has to be avoided. It is also said that, because pleasure is associated with fine arts like music, they encouraged them and contributed much for their development. And because they were unwilling to kill animals, some of the Charvakas are also believed to be vegetarians. Nothing is recognized by this school as a duty. A man can do anything – beg, borrow, steal or murder – in order to accumulate more wealth and more pleasure. But the state laws prevent a man from doing whatever he desires and punish him when he disobeys them. If he is clever enough to outsmart them, then his action is justified. Otherwise, he should follow them to avert the pain of punishment. Kings, who have the power over the state’s laws, themselves can do whatever they like and do anything for increasing their wealth, power, pleasure and dominion. Asvaghosa elaborately discusses the Svabhiva vada .Accordingly all good and bad things originate due to their own nature. The same is the case of life and death. The Carvakas believed there was nothing wrong with sensual indulgence, and that it was the only enjoyment to be pursued. That the pleasure arising to man from contact with sensible objects, is to be relinquished because accompanied by pain— such is the reasoning of fools. The kernels of the paddy, rich with finest white grains, what man, seeking his own true interest, would fling them away because of a covering of husk and dust? Carvaka ethics urged each individual to seek his or her pleasure here and now. “As long as you live, live life to the fullest,” said Carvaka. “After death, the body is turned to ashes. There is no re-birth.” These words, so full of love for humanity and life, are strikingly reminiscent of the life-enhancing philosophy of EpicurusWhat is meant by heaven is the pleasure one has in eating, drinking, making merry and singing. And hell is the pain one experiences in this world itself. There is no point in trying to obtain salvation and a life of eternal quietude; there is an end to life at death and all will be quietened then. While life remains, let a man live happily, let him feed on butter though he runs in debt; when once the body becomes ashes how can it ever return again?. The Carvakas way of life speaks that the differences between castes and their distinctive duties are laid down misleadingly by interested people. There are no objective ethical laws, so one can do what one wishes to, provided he is careful that his actions do not bring pain as an outcome. The three authors of the Vedas were buffoons, knaves, and demons. All the well-known formulae of the pandits, jarphari, turphari, etc. and all the obscene rites for the queen commanded in Aswamedha, these were invented by buffoons, and so all the various kinds of presents to the priests, while the eating of flesh was similarly commanded by night-prowling demons. This revolutionary philosophy of the Carvakas put an end to the age of the Vedas and the Upanishads. It weakened the hold of the Brahmans on the mind of India, and left in Hindu society a vacuum which almost compelled the growth of a new religion. But the materialists had done their work so thoroughly that both of the new religions which arose to replace the old Vedic faith were, anomalous though it may sound atheistic religions, devotions without a god. Both belonged to the Nastika or Nihilistic movement; and both were originated not by the Brahman priests but by members of the Kshatriyas warrior caste in a reaction against sacerdotal ceremonialism and theology. With the coming of Jainism and Buddhism a new epoch began in the history of India. The Carvakas mocked religious ceremonies, calling them inventions of the Brahmins to ensure their own livelihood. The authors of the Vedas were “buffoons, knaves, and demons.” Those who make ritual offerings of food to the dead, why do they not feed the hungry around them? The Agnihotra, the three Vedas, the ascetic’s three staves, and smearing oneself with ashes, these are but means of livelihood for those who have no manliness nor sences Like the other two heterodox schools, Jainism and Buddhism, they criticized the caste system and stood opposed to the ritual sacrifice of animals. When the Brahmins defended the latter by claiming that the sacrificed beast goes straight to Swarga Loka (an interim heaven before rebirth), the Carvakas asked why the Brahmans did not kill their aged parents to hasten their arrival in Swarga Loka. “If he who departs from the body goes to another world,” they asked, “how is it that he comes not back again, restless for love of his kindred? then why not give food down below to those who are standing on the house-top? Dharmakirti, a 7th century philosopher deeply influenced by carvaka philosophywrote in Pramanvartik. Believing that the Veda are standard (holy or divine), believing in a Creator for the world,Bathing in holy waters for gaining punya, having pride (vanity) about one’s caste,Performing penance to absolve sins,Are the five symptoms of having lost ones sanity. The Carvaka way of life speaks that the differences between castes and their distinctive duties are laid down misleadingly by interested people. There are no objective ethical laws, so one can do what one wishes to, provided he is careful that his actions do not bring pain as an outcome.. Hence, it can be concluded saying that the materialist philosophy had a lot to do with regard to the repudiation of old system of religion and custom of magic. The Carvakas Philosophy is in fact a man’s return to his own spirit and rejection of all those which are external and foreign. It also says that nothing needs to be accepted by an individual which do not find its place in the way of reason. Lokayata’s skepticism about karma, reincarnation, and theology came from its epistemology. Lokayata held that perception is the only valid source of knowledge, for all other sources like testimony and inference are unreliable. Perception revealed only the material world, made of the four elements: air, fire, water, and earth. Minds and consciousness were, too, the products of matter. Souls, gods, and the afterlife could not be perceived, and thus could not be said to exist. Religious rituals were useless, and scriptures contained no special insight. Thus, the only purpose of life was to enjoy pleasure and avoid pain. Critics described the ethics of the Lokayata as egoistic, hedonistic, or even nihilistic. Some Lokayata were accidentalists, in that they thought the world was ruled by chance: fire may come from fire or from flint, so there is no fixed cause-effect relation. The Carvaka philosophy is similar to the Epicureans Philosophy of Greece. Both of them include hedonism which concludes that pleasure is the ultimate goal of human life. Through this principle they only earned hate. Skepticism occupies an important place in the history of philosophy. The Carvaka philosophy, saved Indian Philosophy from falling into the pitfalls of dogmatism. Carvaka rids us of the blind fascination for the past, and paves, on the otherhand, the way for the establishment of critical philosophy by opening the flood-gate of free and rational thinking. The Carvaka was that explosive force. Every system of India thought tried to meet the Carvaka objections. In this way. every India I system has got ihe opportunity to rid itself of traditions and establish itself 01 the sound rock of reason and criticism. The value of Carvaka Philosophy therefore, lies in supplying new philosophical problems and in compelling other philosophers in giving up dogmatism, and become more critical and careful in speculation and statement of their own views. 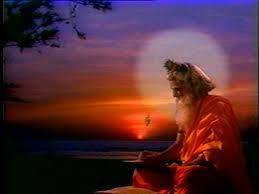  Jayarāśi Bhaṭṭa was an 8th or 9th century Indian philosopher (dated to ca. 770-830 by Franco 1994), author of the Tattvopaplavasimha (tattva-upa.plava-simha “The Lion that Devours All Categories”/”The Upsetting of All Principles”). The manuscript of this work was discovered in 1926 and published in 1940 (eds. Sanghavi and Parikh). ..
 Radhakrishnan, Sarvepalli; and Moore, Charles A. A Source Book in Indian Philosophy. Princeton University Press; 1957. Princeton paperback 12th edition, 1989.